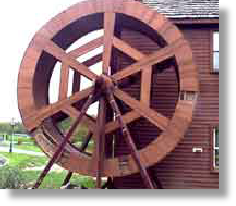 In the 1850’s, production of wooden waterwheels changed to those made of metal. Mill owners of the time rapidly began to appreciate the profitability, practicality and higher efficiency of smooth running metal waterwheels. Metal waterwheels continued to function during hash winters. The metal fins of the buckets acted as a heat conductor of warmer water and allowed the wheel to operate at lower temperatures than a wooden waterwheel. Wooden waterwheels would stop due to icing. Even if a wooden wheel did not ice up, it soaked water into the wood and went out of balance, decreasing its efficiency. Out of balance wheels required more maintenance due to the wheel jumping and undo stress on the bearings and support structures. An out of balance water wheel also created inefficiency in all attached operating machines. Wooden wheels also went through a constant swelling and drying process. 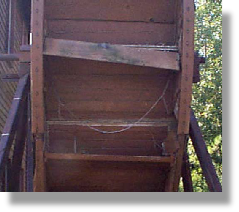 All parts of the wheel soon became loose and the buckets began to leak and fall apart. This lead to the need to replace a wooden mill wheel on a regular basis. A metal wheel, if cared for, would last a 100 years or more. 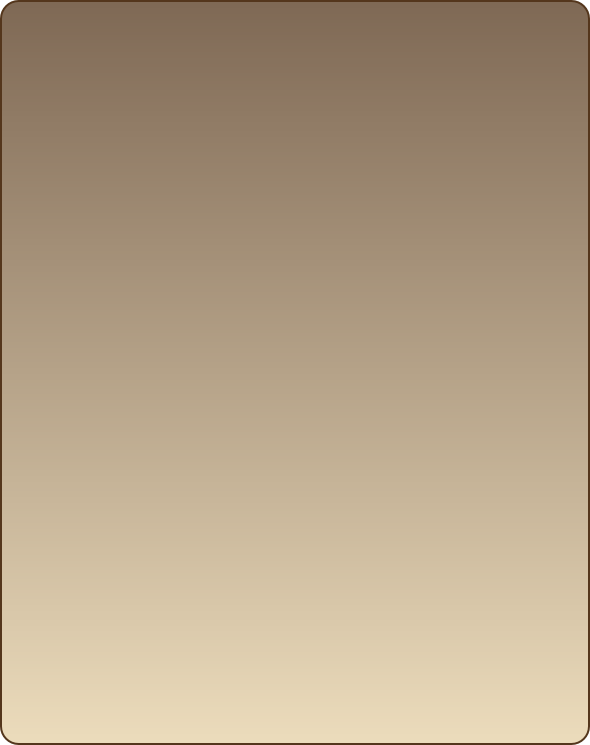 New Fussed Bamboo Structural Material Planks.